Street art, history and the best view of NYC! Want to know the best way to learn about Williamsburg, Brooklyn? It's through food! This highly recommended Brooklyn foodie adventure is enough food for lunch! Williamsburg, one of Brooklyn's most popular and exciting neighborhoods, straddles old and new. You can enjoy the lively arts, music, and boutique scene here, chill in numerous cafes, dine in some very good restaurants. During this walking experience you will discover some of the cultural delights and delectable bites of Brooklyn, by the hand of local food experts. Soak up the neighborhood's unique vibe as you visit iconic institutions to sample tasty treats. Our guides are working actors so every tour has history through fun storytelling and lots of personality! Let us show you the Williamsburg that locals know! Small group walking tour - so it's like enjoying an afternoon with new friends! Incredible food, history, street art and views! See full description of all food items at left. READ MORE ABOUT WILLIAMSBURG'S INCREDIBLE HISTORY HERE! Don't see the date you want? Contact us to schedule a private tour. Tours run rain, snow or shine. You will walk a total of 2 miles or 3.2 km. Experience the best of Brooklyn! The best way to explore NYC! "My husband and I had a fantastic time with Cate on the food tour of Williamsburg district in Brooklyn. It was great to get off of the beaten path to find non-chain, non-touristy places to eat that served absolutely incredible food. The places chosen by were just the right mixture of savory and sweet." 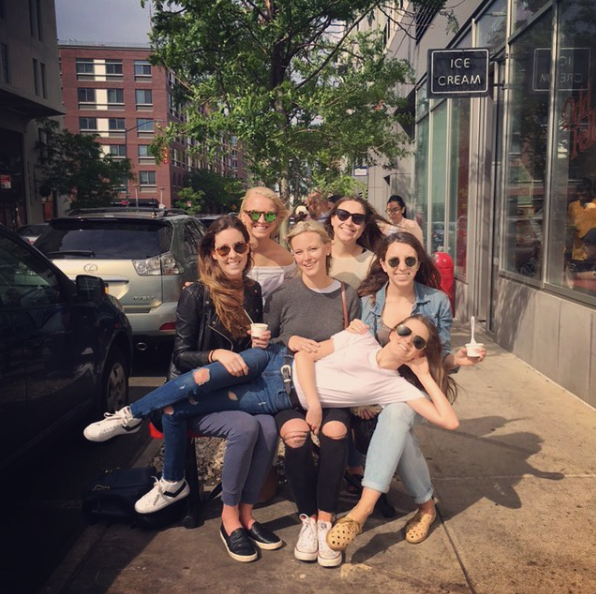 Amazing Williamsburg Brooklyn Food Tour!